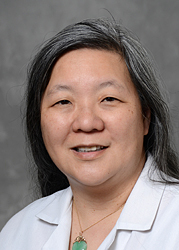 Gail Soo Hoo-Williams, M.D. - David S. Weingarden, M.D. & Associates, P.C. Dr. Williams has recently been awarded “A Top Physiatrist Award” by the International Association of HeathCare Professionals (IAHCP) in 2018. And is spotlighted in The Leading Physicians of the World publication. Dr. Gail Soo Hoo-Williams, M.D.